My wife wasn’t exactly kidding when she said that. As Florida’s craft beer scene continues to grow, that growth – more often than not – tends to be in industrial parks. 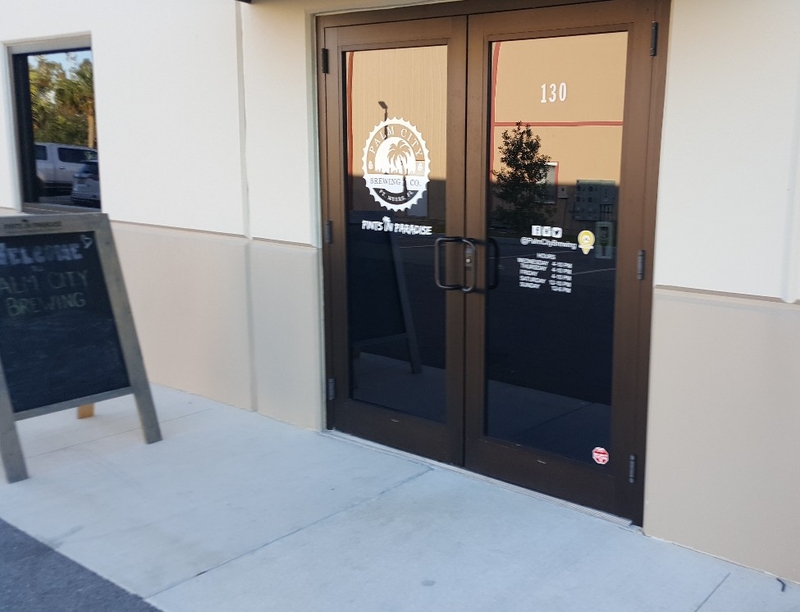 They’re spacious, have plenty of parking when regular businesses are closed but tap rooms are open, and have the necessary zoning for when breweries want to expand and distribute. This is how we found ourselves, and our 2-year old daughter, heading into the Alico Commercial Park in Ft. Myers. 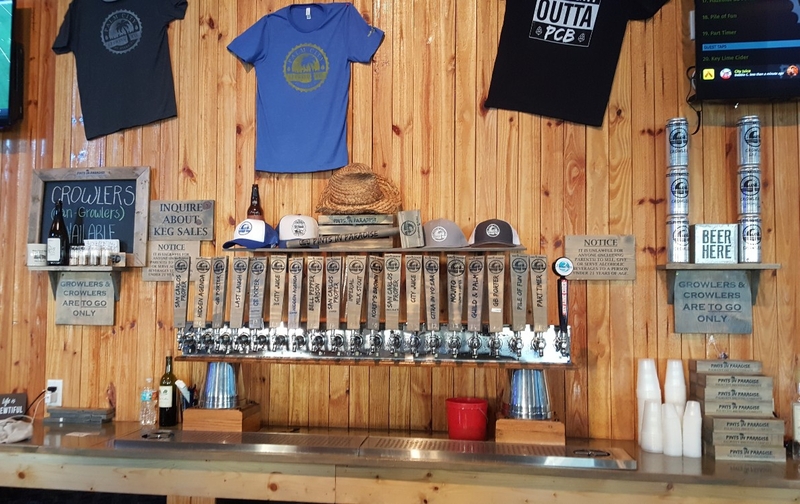 The brewery in question is Palm City Brewing, opened this summer by high school basketball coach turned brewer and owner Ryan Bowen. Ryan homebrewed for years, finally opening up a brewery after receiving the blessing and financial know-how of his wife Marianne almost five years ago. One thing that Palm City prides itself on is how kid friendly they are. Ryan and Marianne have two young daughters theselves, and the tap room reflects this. Its important for my wife and I as well, since we still want to go to breweries but don’t want to feel awkward. But I wasn’t ready for how kid friendly they were. Walking in on a Sunday afternoon, the bartender came up to use with a package of fruit snacks for my daughter, asked if she would like to have Frozen playing on their TVs, and showing us where the chalk was for the giant floor-to-ceiling chalkboards on one side of the tap room. All of this was before we even sat down. That, dear readers, is service done right. The brewing system is a small one in the back, roped off from the outdoor portion of the tap room. 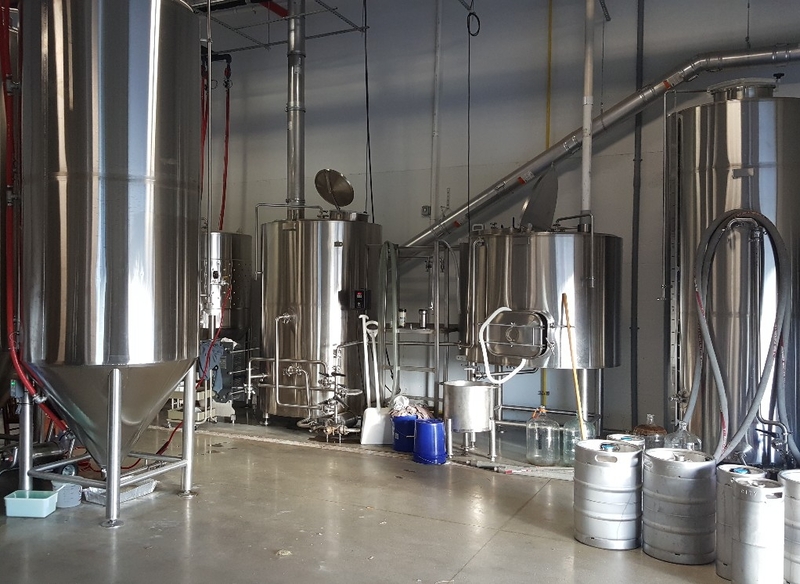 They have what looks to be a 10 BBL system there, with plenty of room in the future to expand. And Ryan’s going to need it sooner rather than later based on just how fantastic the beers were. 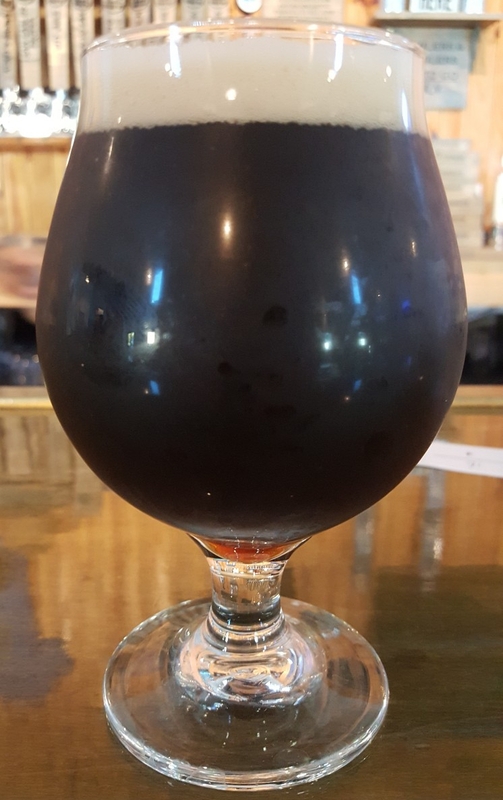 Because she loves porters and hazelnuts, I got my wife a pint of Hazelnut GB Porter (Porter, 5.5% ABV), a treated version of their year-round GB Porter. This beer hits all the right places, if you can even drink it. It took me a long time to want to take a sip, since I was too enraptured with the aroma of hazelnuts, malt, and roast. If that were a cologne, I would wear it every day. Finally drinking it, the beer has great flavors of nuts along with a malty base with light notes of coffee and pumpernickel. Hidden Agenda (Kolsch, 4.5% ABV) – This is one of the better Kolsch-style beers I’ve tried. Nice ands sweet, with a strong reliance of honey malts in the brew. It’s bright, buoyant, and fantastically drinkable. San Carlos Proper (Golden Ale, 5% ABV) – Beers like this are starting to really take off, being a crisp, clean golden ale made with coffee. That coffee is perfectly suited to the beer, being a lighter roast with just enough flavor to be noticed, yet expertly blended so nothing is overpowering. Imperial Milk Stout (Stout, 8.3% ABV) – I got two sips, then my wife took the rest. And we got a crowler to go (for a whole $10). It was that good. A perfectly brewed imperial stout with a great lactose taste and velvety mouthfeel. Excellently made and our favorite by far. Guild & Palm (Marzen, 7% ABV) – It’s still fall for me, so a good Oktoberfestbier still makes me happy. This beer has a great, light caramel quality and packs a bit of a punch without being heady or boozy. That was the first trip to Palm City Brewing for us, but it definitely won’t be the last. And knowing that they’re wonderfully kid-friendly is great to know beforehand. And knowing that Imperial Milk Stout is there definitely helps as well.